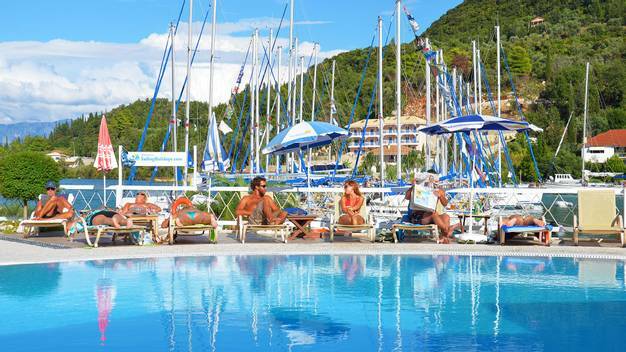 Combine a one week flotilla sailing holiday with another week relaxing ashore. These holidays will appeal to those who enjoy sailing but have family or friends who are not quite so enthusiastic - a compromise can be made! 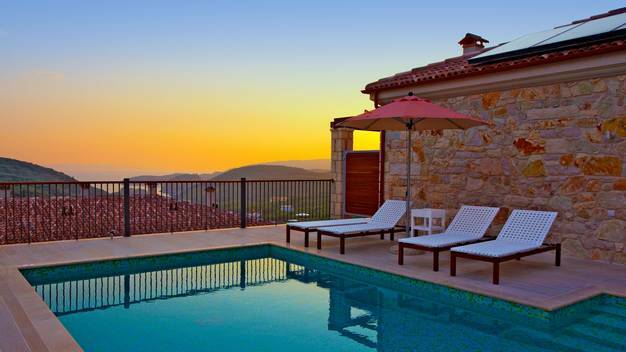 We are thrilled to be able to offer some of the best boutique accommodation options in the Ionian! 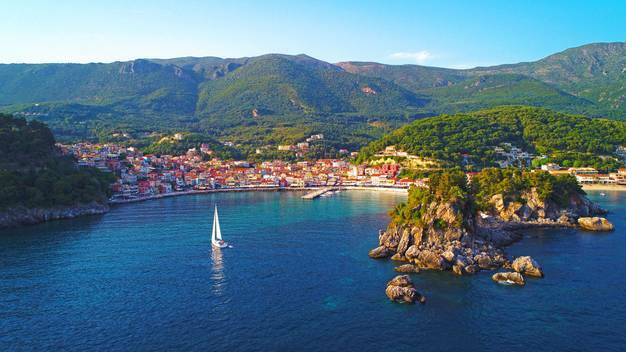 Choose from studios or apartments beside the sea at the Iris Hotel, near Nidri or you can really pamper yourself at the Salvator Villas and Spa Hotel in Parga, which also has a selection of two-bedroom villas with private pools. Our final offering is brand new for 2019! 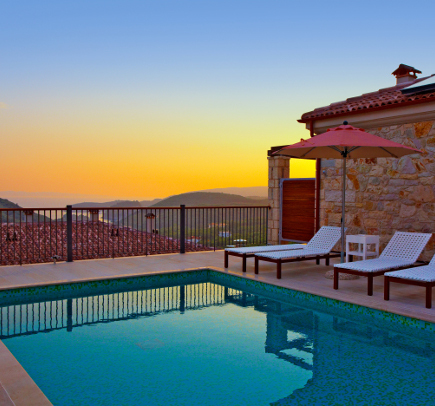 Villa Meandros is a 3 bedroom villa that sleeps up to 6 people featuring huge living space and a private pool. 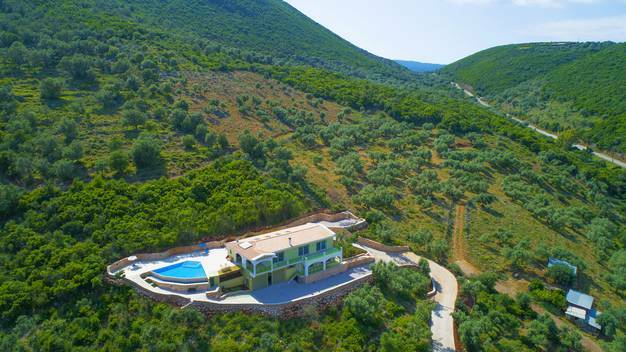 Nestled amongst the olive groves above Sivota on Lefkas Island, it is the perfect place to relax before or after your week on the water! We are always happy to advise on the best accommodation options for you and your crew for either before or after your flotilla holiday. We also have the ability to add on extras such as car hire to all of the hotels and villas that we have available. If you choose to book accommodation with us to fit with your sailing holiday then will will provide your flights to cover your week ashore. There are several flotillas that we are able to combine your week on shore with whether you opt for Villa Flotilla or one of the hotel options. Below are the options for your week sailing, whether it is one or two weeks that you are after all of these cruises pair up perfectly with our Shore-to-Sail choices. 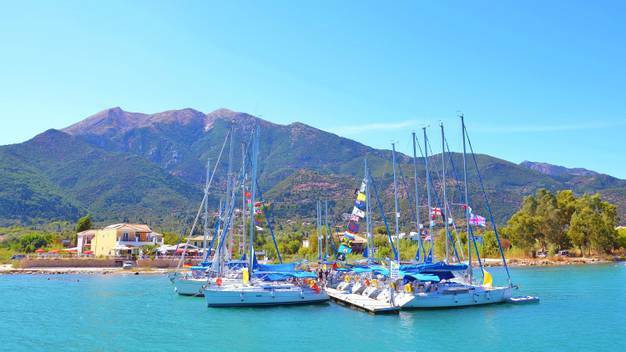 The Lefkas Flotilla is one of our most popular beginners flotillas, it is also a good choice for more experienced sailors who are looking to introduce their family and friends to sailing. This flotilla starts and finishes at our pontoon at the Iris Hotel, so if you opt for this as your accommodation it is just a short walk to the hotel. Also, Villa Meandros is just around the corner in Sivota Bay. The Salvator Hotel is a little further away but we can help you arrange taxis or car hire. 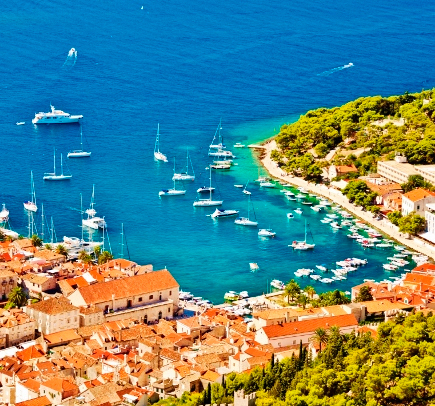 The One Week Ithaka Flotilla starts and finishes in Sivota on Lefkas Island. 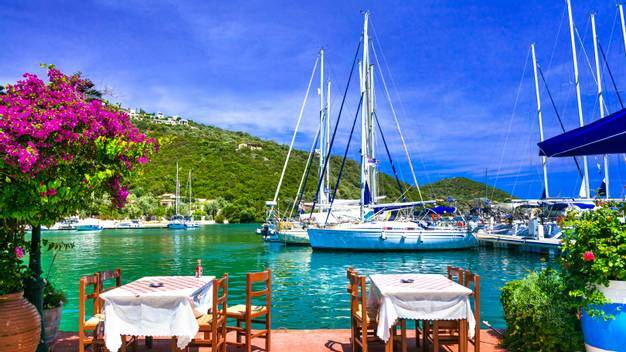 You will spend the week island hopping between Meganisi, Kalamos, Kastos, Ithaka and Lefkas and stopping at a mixture of small coastal harbours and larger towns. 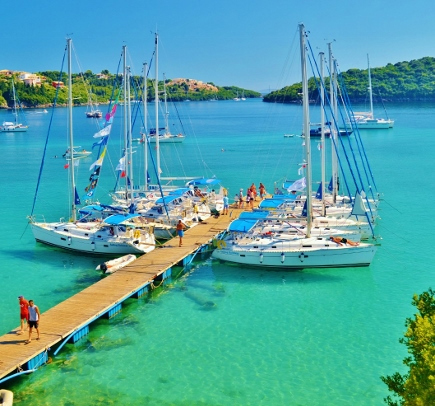 This flotilla is just a short distance from Villa Meandros which over looks Sivota Bay - the ideal Villa Flotilla combination. It is a 20 minute taxi journey around the coast to the Iris Hotel. Again, The Salvator Hotel is located on the mainland but we can assist with transport. This two week flotilla is perfect if you fancy a three week holiday by combining a week on shore with a two week flotilla! This one way cruise sails from Sivota to Plataria or vice versa and takes in the islands of Corfu, Paxos, Anti-Paxos, Lefkas, Meganisi, Kalamos, Kastos, Ithaka, Kefalonia and Lefkas (and perhaps more). This is our flagship flotilla and remains one of our most popular. It is perfect for beginner sailors or those of you that like to see all the highlights of the Ionian Islands in two weeks.